Can't you fix that with a laser? In the world of medicine, lasers have been used for a very long time. Their purpose has varied over the years and new applications for laser are becoming the future of some treatments. However, there are many conditions that cannot be "cured" with lasers. We'll review a few of the things that lasers ARE used for, and also give you some idea why they aren't used for everything. Lasers have been around since about 1951. The first time lasers were reportedly used in medicine was in 1962. In 1963, a doctor by the name of McGuff first experimentally used laser for the treatment of atherosclerotic plaques. 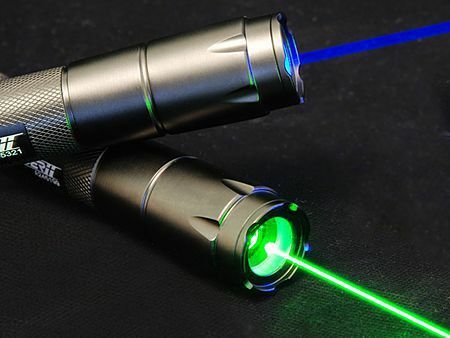 There are many different types of lasers. CO2 lasers produce a beam of infrared light and can be used for dermabrasion and skin resurfacing. Diode lasers have been used to control blood loss in surgery. Excimer lasers are a form of ultraviolet laser that are used in eye surgery. When it comes to podiatry, lasers are now being used for nail fungus treatment, wart treatment, tattoo removal and also sometimes pain relief. Lasers can be used to break up the pigments that are placed in the skin to create tattoos. Tattoos created with black ink are easiest to remove because black absorbs all wavelengths of light. Removal of tattoos is performed more often by cosmetic surgeons, as they will commonly have the various types of lasers needed to remove the different pigments used. Nail fungus is treated with laser now too. The lasers shines through the nail to kill the underlying fungus and then as the nail grows out, it should be clear and with regular thickness. Warts are effectively treated with laser because the laser is able to destroy the blood flow that the warts need to survive. Lasers used for this type of treatment usually require assistance of a local anesthetic to make the procedure more tolerable. Due to the damage created by the laser, in its effort to make the skin inhospitable to the virus, this treatment can be painful days following. Another application of lasers in podiatry is for pain relief. More often than not, lasers like this are used by physical therapists. Lasers in this area are used similarly to how electrical stimulation is used in physical therapy. I have been asked by a few people if their bunion or hammertoe can be fixed with a laser. Some people want their calluses removed with a laser. In identifying the cause of whatever ailment you want to have treated with laser, you can determine whether a laser is an appropriate treatment. Lasers cannot magically be waved over a bunion and make them go away. Typically laser use is limited to soft tissues - that is - skin, masses, etc - and bunions are a bone problem. Bone is not well treated with lasers. Even if a laser could cut bone, it would also heat up the bone to point that could kill the cells within the bone and damage the blood supply to the bone cut- making it difficult (if not impossible) to heal. The bottom line? Lasers are an organized beam of light and the effects lasers have on living tissues is thermal, or heat-producing. Because heat is not used to cure all illnesses, lasers would also not be well suited to cure some more complex foot conditions.